The Bank of Canada must, indeed, feel alone this summer. The Federal Reserve is raising interest rates, the European Central Bank is ending its stimulus program, and the Bank of England sent a hawkish signal just yesterday, pointing to a rate hike. Observers believe Canada’s central bank could resume tightening at next month’s meeting by lifting its key overnight rate by one-quarter of a percentage point. But these are uncertain times, with concerns over trade, housing and consumer debt. Particular on the trade front, this could turn out to be Bananarama’s cruel, cruel summer. It’s not that things are falling apart – they’re not – it’s just that the central bank will be on guard. 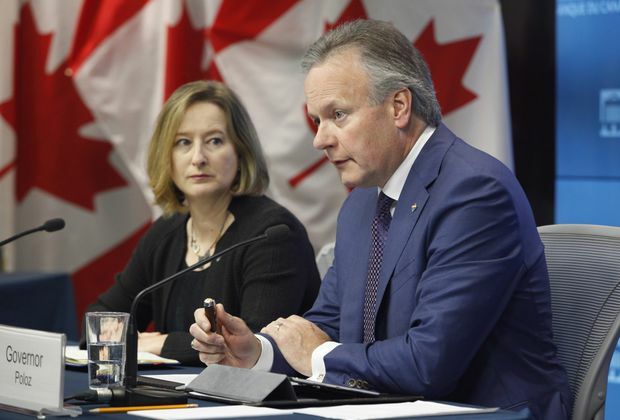 And anything could happen to shift the views of Bank of Canada governor Stephen Poloz, senior deputy Carolyn Wilkins and their colleagues. Indeed, depending on trade developments, they could even cut rates, Laurentian Securities believes. For now, “gradual has become the watchword” for Mr. Poloz, for sound reasons, Toronto-Dominion Bank said in a new forecast. “Canada is absorbing policy tightening on multiple fronts, not just through the traditional central bank policy rate,” TD chief economist Beata Caranci and her group said in their report. “First, macroprudential measures within the housing market have created a higher qualifying rate,” they added, noting, too, that longer-term yields have moved along with those in the U.S.
“This means that the bank does not need to move in lockstep with the Federal Reserve, as is sometimes thought,” they added. There’s so much to take into account, notably President Donald Trump’s protectionist agenda. Along with the names-can-never-hurt-me aspect of the Trump administration’s attack on Prime Minister Justin Trudeau and Canada, there have been real sticks and stones, as well. The U.S. has hit Canadian steel and aluminum exports with tariffs, and is now threatening to punish auto imports. 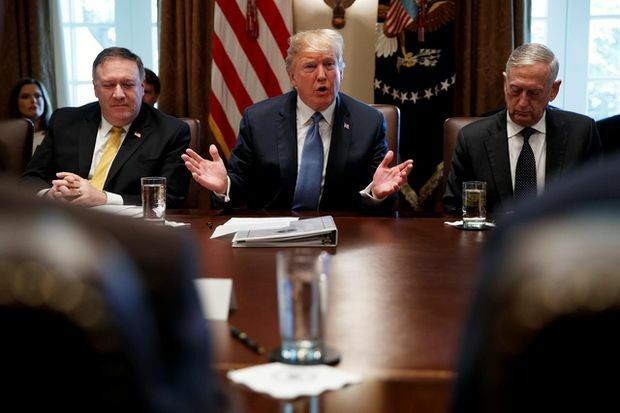 There are also the stalled talks to overhaul the North American free-trade agreement. “The trickiest part is not the unfavourable trade developments that have occurred until now, but the increasing possibility of a rapid and dramatic escalation in the global trade war in the months ahead,” Laurentian Bank Securities chief strategist Luc Vallée and chief economist Sébastien Lavoie said in an analysis. “The biggest threat for Canada is stiff U.S. tariffs on auto imports, followed by the indirect impact of another round of U.S. tariffs on up to US$450-billion of Chinese goods and retaliation by China,” they added. If the central bank believes trade won’t upset the outlook, it could raise rates in July, they said. If it is “convinced of the inevitability” of a hit to autos, it could simply stand pat at this point. If it raised rates and trade went sour, it could always cut down the road. “In our view, the tariffs announced so far by the Trump administration are not, in isolation, sufficiently detrimental to the Canadian outlook to convince the BoC to postpone raising its overnight rate target to 1.5 per cent; however, a mounting threat of new tariffs on cars and/or of an escalating trade war with China and Europe might,” said Mr. Vallée and Mr. Lavoie. Remember, too, that the central bank is monitoring the impact of its earlier rate moves on highly indebted households. That comes at the same time as mortgage rates are rising and the housing market softens. It’s true that the consumer credit picture has brightened somewhat as provincial measures and new mortgage-qualification rules force households to get their acts in gear. The Bank of Canada cited this, and Statistics Canada backed it up with the latest numbers showing that the key measure of household debt to disposable income has eased. But “the trivial decline in the household debt-to-income ratio in the first quarter does not mean that the Bank of Canada can relax,” warned Paul Ashworth, chief North America economist at Capital Economics. “For a start, the debt figures are seasonally unadjusted and usually fall between the fourth and first quarters as households pay down their credit cards after the holiday season,” he explained. Ms. Caranci’s economics group at TD agreed the central bank will “step lightly” even though the economy shows signs of little slack. “Interest payments rose at a double-digit pace in the first quarter,” TD said. “At the same time, consumer spending continued to decelerate alongside household borrowing,” it added. The easing of the debt burden and pulling back on spending are both good signs for the Bank of Canada, of course. And, in the end, Canada should end up with a “more balanced composition” of growth. “Getting from here to there is no easy task, however,” TD said. Then there’s the housing market, which is coming off the boil, but still fragile. “Fortunately, there is reason to believe that the worst of the adjustment is behind us,” Ms. Caranci’s group said. “Monthly moves have become less dramatic, with some markets beginning to see modest increases,” it added. The Canadian dollar fell after dueling reports on inflation and retail sales, breaking below 75 US cents before recovering somewhat.